In these lean economic times, a market has emerged in the Dominican Republic’s north coast region for affordable villas. Not to be confused with “cheap” housing, the latest crop of less-expensive homes will often present to the potential buyer both quality and versatility. When combined with energy-efficient systems, such villas represent real value. A few notable projects in the Sosua-Cabarete area are offering affordable villas in gated, secure communities. These communities offer villas that boast an impressive list of options in addition to high-quality standard features. Moreover, the potential buyer may choose from several lifestyles when contemplating a property purchase on the north coast of the Dominican Republic. Some projects feature semi-connected townhouse architecture while others offer stand-alone villas on smaller lots. Most contain improved common areas with pools, barbecue areas, kiosks and tennis courts. 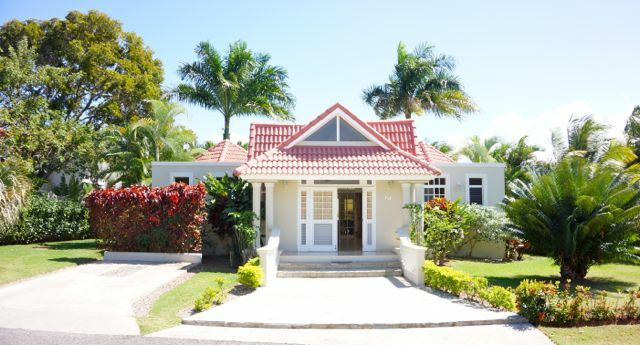 Prices range from under US$ 200,000 for a 2 bedroom/2 baths house while a well-equipped 4-bedroom/3-or-4 bath home may be had for under US$ 400,000. This is new construction, employing European or North American standards. Each villa is complete with all appliances and cabinetry, and a new owner who utilizes a pre-construction purchase will have many options to choose from. Typically, these homes are completed in 5-7 months, including landscaping. A few projects offer the buyer an advanced list of options including water-treatment systems, solar pool pumps, Inverter/battery backup systems and rooftop solar arrays. The better communities offer backup electricity generation utilizing remote standby diesel-fired generators. As technology improves, wind-power will become a truly viable option in a country constantly bathed by the northeast tradewinds. Generally, a top affordable villa community will offer an imaginative road system with underground utilities. Often, there will be changes in elevation and in some cases, ocean views are available. Common areas with spas, pools, firepits, picnic tables and even tennis courts are the rules rather than the exception. And should a buyer choose to spend only part of the year in the tropics, many communities offer terrific rental programs that can all but guarantee income. Often, this income will exceed the normal costs of community maintenance fees and villa upkeep. It is really a dynamic market now for anyone contemplating the purchase of an affordable villa along the “Costa Verde” (Green Coast) of the Dominican Republic.